It's game on for bargain hunters. Black Friday is here, and so are the super sales. If you're wondering what the latest tech deals are Friday, you're in luck. While you've been sleeping off that food hangover, I've scoured the Web for the best and freshest deals. Ready to grab the hottest holiday tech deals? Read our advice before you hit the stores. Best Black Friday Storage Deals »Black Friday is only days away, and while early sales have been heating up this year, the day after Thanksgiving will still be a day for big bargains. If you haven't already, you should get warmed up for the big shopping day by checking out PC World's 10 Fascinating Facts (they're really tips) for Black Friday 2009, 8 tech tools to keep you on top of this year's deals, and some online shopping pointers from Black Friday pros. The only thing left to do is keep an eye on the hottest destinations on the Web touting Black Friday deals. Here's a list of Web sites you'll want to keep an eye on, so sync them across your computers with Chrome bookmarks, save them to delicious or just store them in your favorite browser. Whatever you do, don't miss out on these sites to help you find great bargains. Amazon: The online retailer's Black Friday deals page is up and running. Not only can you get some great bargains on electronics, video games and DVDs, but every day Amazon is also offering some great limited time sales. Lightning deals that you've already missed include 101 Dalmatians (Two-Disc Platinum Edition) for $9.99 (67 percent off) and an eight-function bicycle computer for $24.99 (29 percent off), and a Panasonic Lumix DMC-G1 12.1MP Digital Camera for $621.99 (21 percent off). Best Buy: You may waste hours lined up at the Geek Squad counter, but I can guarantee you these deals from Best Buy won't last. If Best Buy is on your hit list for Friday then check out Best Buy's Doorbusters. The in-store deals start at 5 a.m. local time, but the retailer is also handing out tickets for select items as early as 3 a.m. Best Buy will also be offering some, but not all, of its Black Friday deals through its Website starting on Thanksgiving Day, while supplies last of course. Hot deals include a Palm Pre for $79.99 plus a two-year contract, Samsung 46-inch LCE HDTV for $999.99 and a Hewlett-Packard 15.6-inch laptop with an Intel Celeron processor for $197 (in store only). Apple: No one has any idea what Apple has planned for Black Friday 2009, and historically the company has never had much in the way of super deals. But just in case this is the year for low prices, you'll want to keep Apple's Black Friday page bookmarked. Two rumors have already surfaced about Apple's Black Friday plans, and both rumors came with supposed Apple advertisements boasting of the deals. One rumor says prices for Mac computers will be cut up to 25 percent, while a later one said the discount would only be 8 percent. Only a few days until we know for sure. Dell: Dude, are you getting a Dell this year? You might, if you like what you see from Dell's Black Friday deals. You can get a Linux-based Dell Vostro 8.9-inch netbook with an 8GB solid-state drive for $184 or a Dell Vostro desktop with Windows 7 (32-bit), an 18.5-inch screen, 4GB of RAM, 250GB hard drive, and a 15-month subscription to Norton Internet Security 2009 for $429. Twitter: There are tons of Twitter accounts sending out Black Friday deals in real time, but the easiest one to find and follow is @BlackFriday. Even if you don't use Twitter, you can still take advantage of this microblogger by bookmarking the account page. You won't get the real-time functionality without a Twitter account, so you'll have to refresh your browser every few minutes to see what's new. BlackFriday.FM: This is an easy-to-use site that has great Black Friday information. Here you can sign up for email updates, check out the sales for your favorite stores, and keep up on the latest Black Friday news. The site even features two links at the top right to Black Friday favorites Wal-Mart and Best Buy. Follow this site on Twitter and Facebook. tgiBlackFriday.com: The makers of the 2009 Black Friday iPhone App also have a companion Website. The column on the right of the site offers one-click filters to see what popular deals are available online, downloadable PDF scans of Black Friday ads, and a list of popular shopping categories like Computers and Office, Electronics and Toys and Games. Follow tgibf on Twitter and Facebook. BlackFriday2009: Unlike many of its competitors, this site is easy to view and navigate. Black Friday 2009 has the latest news about Black Friday right up front, as well as links to popular stores and a rotating selection of some of the site's favorite deals. They've also got a Facebook page and a Twitter feed. Black Friday@GottaDeal: It's not the prettiest site to look at, but you'll definitely find some deals. The best part about this site is its two online trackers: one shows you the items you can order online right now, and the other shows dates, times and discounts for the online sales from major retailers. No Twitter or Facebook here, but you can sign up for the site's email alerts. BFads: This popular Black Friday site not only features deals listings, but you can also join the BFads community to swap tips with other savvy shoppers. If you want it, there is yet another Twitter stream for this site, as well as a Facebook page to keep you informed about Black Friday. So there you have it. Ten sites you'll want to keep your eye on as we approach Friday, Nov. 27. Got any other favorite online destinations for Black Friday? 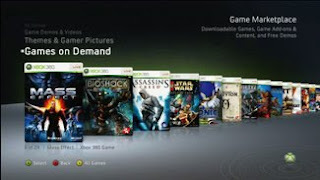 Starting Thursday, you will be able to download and store game titles on your Xbox 360 or external hard drive. No disc necessary for gameplay. Titles will include Mass Effect, Assasin's Creed, BioShock, and Elder Scrolls IV: Oblivion. The average price is about $30 for a downloadable game, and you will be able to purchase games with Microsoft points or a credit card. New titles will be added every Tuesday. You may not have to worry about losing your games either, since Microsoft says all your purchased games will be available for mutliple, and possibly unlimited, downloads. Games on Demand may also be portable, but Microsoft is a little fuzzy on this point. In the Xbox LIVE update notice, Microsoft says, "Download your purchased games to any console you are logged into with your Gamertag, and anyone else can play on the console that your game was originally downloaded to." I don't know about you, but that sounds to me like the Games on Demand feature will be portable allowing you to log onto your friend's console with your own Gamertag, download one of your games and play it on your friend's machine. That scenario makes a lot of sense, and would make the Xbox 360 download set-up very flexible. But Microsoft's statement is a little confusing since right after mentioning portability it says anyone can play downloaded games on the "console your game was originally downloaded to." That probably means Microsoft will let anyone with any Gamertag play a downloaded game on your home console, as well as let you port downloaded games onto your friend's machines. 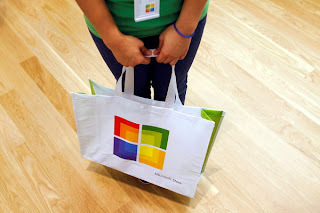 Just to be sure, I've dropped Microsoft a quick note to clarify. In addition to games, Xbox LIVE will now let you view, download or print game manuals right from your console. Now you can throw branded apparel on your avatar for a price at the new Avatar Marketplace. Starting Thursday, you can buy your Avatar clothes from fashion labels and games, but Microsoft isn't saying what the costs will be or what brand names or game costumes will be available. If new clothes are not your thing, you will also be able to give your avatar toys called Avatar Props. Items include a remote controlled Halo Warthog that your avatar can take with it wherever it goes. Take a look at Inside Xbox's video to see the new avatar features in action (the video is item number one). Microsoft has added a few tweaks to its Netflix feature, including an improved user interface to find content faster, and the ability to add titles to your queue right from your Xbox 360 instead of logging on from your PC. Other features include an improved playback experience and better integration with the friends feature to let you know what your Netflix pals are watching. There's also a new party watch feature where you can watch content with your friends. Netflix discussed the party watch feature several months ago; it's similar to a feature available with Blu-ray's BD Live. Basically, you will be able to watch select Netflix content at the same time with up to seven friends in remote locations. You will also be able to discuss what you're watching, but it's not clear if that means you will be able to talk over VoIP or instant messaging. Here's another interesting tidbit found at the bottom of the Dashboard release notes: "This exclusive partnership [between Xbox and Netflix] offers you the ability to instantly stream movies and TV episodes from Netflix to the television via Xbox 360. 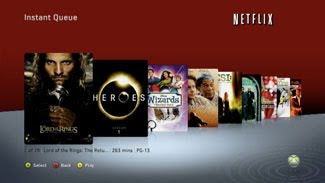 Xbox 360 will be the only game console to offer this movie-watching experience..." Netflix might be trying to integrate their service into all kinds of high-def televisions and set-top boxes, but it looks like the Xbox 360 will be the only Netflix-capable gaming console for now. Sorry PS3 and Wii fans. 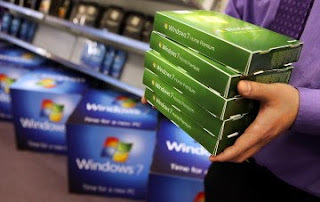 Xbox LIVE has many other service changes as well including improved party invites, user ratings, account management and recovery options, video display options, user interface and console settings. You can see the full list of new Xbox LIVE features and improvements on Xbox.com. Microsoft also gave us a peek into the Xbox's future with integration coming soon for Facebook, Twitter, Last.fm, and Zune Video.